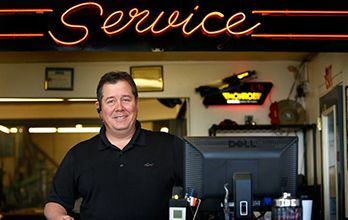 Since opening our doors more than 40 years ago, we at Small World Auto Center have put our focus on providing you and your car with top quality service. 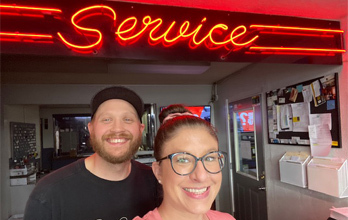 Our Eugene auto repair technicians are ASE certified and take pride in their customer service as they do their auto service. Eugene local drivers have built long-lasting relationships with us since our beginning in 1970. We like to believe that we demonstrate our customer service values every day, even as we’ve expanded over the years. At Small World Auto Center, we have a knack for making sure both you and your vehicle are properly taken care of. When it comes to auto repair, Eugene drivers know that we are the top-quality car service provider in the area. That passion extends beyond our shop, as we are proud to support local organizations whenever we get the chance. Our Eugene auto repair shop values giving back to our community and our customers! 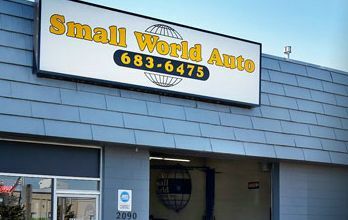 At Small World Auto Center, the term “small” might be in our name, but it’s not in our service! For more than 40 years, we have been proud to offer comprehensive and trustworthy Eugene auto repair. Eugene, OR drivers have come to know us for service that is both high quality and customer friendly. We pride ourselves in our customer service just as much as our auto service! We Guarantee Our Car Repairs By Warranty! Eugene drivers have relied on Small World Auto Center to deliver the best automotive repair, and we continue to exceed their expectations. Our mechanics are highly skilled, ASE Certified Technicians, and are dedicated to taking complete care of you and your car, so your automobile won’t be the only one receiving great service. Our mechanics have the experience and technology to work on all makes and models of domestic and import cars, pickup trucks, SUVs, minivans and hybrid vehicles. We stand by our team’s work with two worry-free warranties for our drivers: 2 years/24,000 miles nationwide. Fast, Friendly and Free Local Shuttle Service. Whether you are in need of a simple oil change or brake check, or more advanced diagnostics and a major auto repair, Eugene drivers know we can handle any car repair that comes our way. We are also dedicated to servicing your car in a timely manner, and many of our vehicle maintenance services can be completed same-day. For your convenience, we also offer a free local shuttle service to help get you to work, class, or wherever you need to go in town! We also have a rental car program that you can utilize if your repair is going to be a bit longer. Having your car in the shop doesn't have to interrupt your whole day! We invite you to stop by your neighborhood Eugene auto repair, give us a call or easily schedule your appointment online today, and we'll be happy to help you with all of your automotive needs!